The Governing Council of the Nasarawa State University, keffi had a closed door meeting with Governor Umaru Tanko Almakura today over the ongoing ASUU industrial strike. The meeting which lasted for about an hour at the state Government House in Lafia kept lurking journalist in the dark, as details of the meeting was not made known. After the meeting, the council members all walked down to their vehicles and drove out from the premises of the state Government House, as none were willing to talk to press. However, our correspondent who was at the Government House where the meeting took place gathered that the council was going to schedule another meeting with the leadership of ASUU this week at the senate chambers of the institution, where they would brief them on the details of their meeting with the Governor. 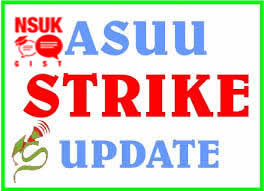 Moreso, our source at the gov't house reveals that, “with the dwindling financial crisis facing the state government, it would be difficult for government to meet all the demands of ASUU''. He added that “ASUU would have to give government some time, and ones the financial situation of the state is stable, it shall address all their requests accordingly, but for now, ASUU would have to consider and shift grounds”, he said. Professor Mainoma who was speaking in a telephone interview with our correspondent in Lafia said, negotiations are still on with the leadership of ASUU and hopefully in no distance time, they would call off the strike. He acknowledged the meeting of the governing council with the state Governor, saying that after details of the meeting was made known, they would know the next step to take on the matter. Finally, he called on ASUU to reconsider their stand and to call off the strike in the interest of students, as such actions would further bring misunderstanding.